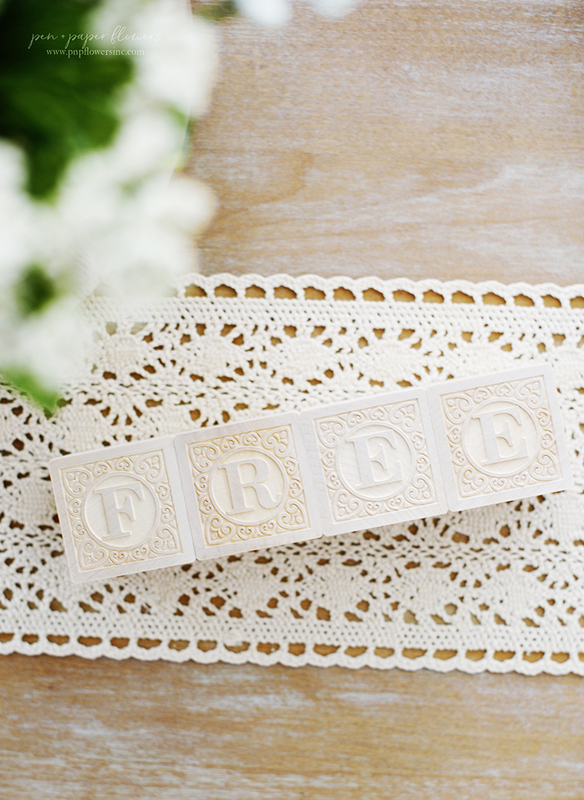 Time for a new focus word and mine this year is....FREE. And boy did I struggle for whatever reason to pick just the right word this year. My word typically finds me without me searching. because you know I love hand-lettered anything and I'm such a visual person. But why the word "Free"? I needed a word that represented an "unearthing" of sorts. I needed a word that stood for "letting go", a "rebirth" AND an "elimination + purging" mindset. A word that symbolized a "peeling away of layers". A word that represented "healing". I was searching for the perfect word to harness some beautiful energy for the journey ahead to rediscovering...and unburying...and reconnecting with the girl I once was. Specifically to the girl who has buried her good health under layers of disappointment + shame, to be completely honest. As I recently wrote in my journal, "I've been storing food reserves for a very long winter apparently." - lol And this needs to stop. Self care is my number one this year. Period. Essentially, if I can get a handle on my overall health everything else will see improvement. I've played the victim to my own insecurities and unfortunately allowed myself to become a prisoner in my own body; a prisoner to my fears. A prisoner to my doubt. A prisoner to lies I had convinced myself to be truth. I need to break out of the prison and be FREE! I can visually see it in my mind. I can see the girl I once was...the one I left behind. I'm looking at her. She's looking at me. Our eyes have locked and I am running fiercely to meet her; To grab her hand and continue the journey together; To remind her I haven't forgotten her. I have NOT left her behind. I am back. I'm running back to rescue the girl who's optimistic, cheerful, trusting heart has been crushed by life experiences. I'm sprinting through the wide open prairie to wear she is standing and has been waiting for me to return. I can see this vividly in my mind. I cannot let her down. I cannot leave her standing there anymore. And I know when I reach her...I will not have rescued her....she will have rescued me. Can you feel the passion in my words? I hope so...because I can feel it in my fingertips as I type. A spent hours upon hours looking up words that might be the word I was looking for! Tend, restore, pure, clean, cleanse, reclaim, shift, return, reset, refresh, rebuild, dig, peel, chip, core, shed, center, root, foundation, excavate, create, carve, mold, chisel, unveil, beauty, unmask, claw, fight, war, take back, unbury, raw, stripped...and well. I had convinced myself that my word was "well"! Then I changed it to "grit"! And then I ended up at "free"! "Well" was so awesome in so many ways but ultimately I decided it was too "soft". So I then I did a 360 and chose "grit" which was a super tough and energizing word...but not "pretty" and appealing to me visually. Not subject to or constrained by. Release from physical obstruction, restraint or entanglement. It's definition touches on everything I'm focusing on. HEALTH + HEART + HOME"
HOME - free up space in my life by continuing to simplify, declutter + getting rid of things. I know that was a lot to read and take in. From my journal: "This year ahead is going to be really hard physically AND emotionally because of the awesomeness I'm looking to uncover within myself." Yes!! Amen to that! And if you are looking to uncover your awesomeness too perhaps choosing a word might be something to help motivate you! If you do the whole choosing a word thing each year and are looking to uncover your awesomeness too, I hope you have found one to keep you energized. And if you've never tried it...I highly recommend it. Tip: Choose a verb. It's got more power behind it. More action. And that's what choosing a word is about! I'm definitely going to have to come back to this post and read it when I need a boost of energy and will power. Writing this has pumped me up all over again!! I've added exercise into my life 2-3 days a week and have been eating so much better for the month of January. I'm a little behind in some goals I set for myself but writing this post has given me some renewed energy to make it happen. Happy New Year! I recently stumbled upon your blog and am enjoying going back and reading it! You have inspired me to pick a word, and it is....well, actually two words....Let Go! Can I do that? HaHa! I had a crazy year and this year is starting out challenging too. I've decided I cannot fix or control everything, so I'm going to "Let Go"....(and "Let God"). I'm sure I will need to constantly remind myself of this!! Seriously, do I really think I can control things better than God? Reminder to self...Ummmm...NO! Wishing you a wonderful, freeing 2018! Found your blog via Instagram. What a powerful word and powerful post! Will be following your journey. Be awesome!